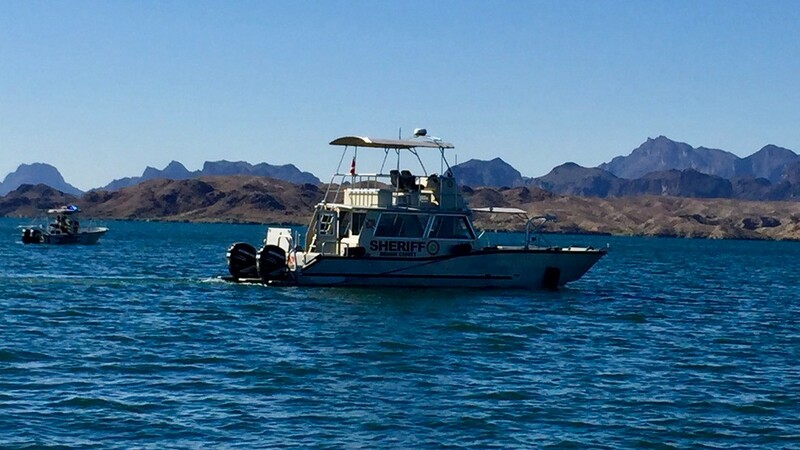 Lake Havasu, Arizona—A boating accident on Lake Havasu has resulted in the deaths of two people from California on Saturday evening. Bruce Buchanan and Jennifer Renee Martin were boating with friends when their vessel tipped sharply, tossing everyone overboard. The Mohave County Sheriff’s Office received several 911 calls reporting the accident around 8:00 p.m. Witnesses said the boat made a sharp left turn, which ejected all six people on board. Another nearby boat rescued them from the lake, as the driverless boat continued circling the scene at high speed. One man, Bruce Buchanan, age 51 of Redondo Beach, was unconscious and unresponsive. The rescuers started CPR. One woman last seen in the water was reported missing. The rescue boat docked at London Bridge Beach, where Lake Havasu City Fire and Police emergency responders took over life-saving measures. Mr. Buchanan was taken to Havasu Regional Medical Center, where he was pronounced dead from an apparent heart attack. Investigators later found the boat on Spectator Point where it had run ashore at high speed. The driver of the 35-foot twin-motor boat has been identified as Brian H. Simmons, age 48 of Hawthorne, California. Mr. Simmons was not injured and is cooperating with accident investigators. Meanwhile, an extensive search coordinated among seven county and state agencies was under way for the missing woman. Rescuers utilized sonar equipment, a remote-operated submarine, divers and an onboard camera. Mohave County Sheriff’s Waterways deputies recovered the body of Jennifer Renee Martin, age 31 of Los Angeles, on Tuesday morning in 43 feet of water near the accident scene. Ms. Martin was one of a set of triplets, another of whom was on the boat. Autopsies will be performed as part of the ongoing accident investigation. We extend our condolences to the family and friends of Ms. Martin and Mr. Buchanan over this tragic loss, and we wish those who were injured speedy and complete recoveries.